Hot Smoked Peppered Mackerel Fillets. 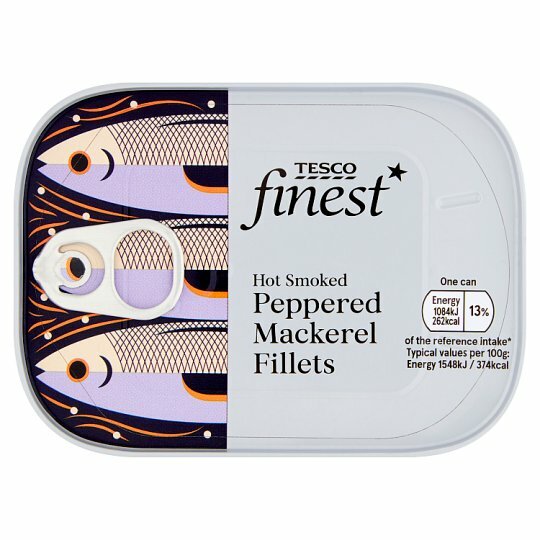 INGREDIENTS: Hot Smoked Mackerel (Fish), Salt, Crushed Black Peppercorns, Sunflower Oil. Store in a cool, dry place. Once opened, transfer unused contents into a non-metallic container, cover and refrigerate. Consume within 2 days.